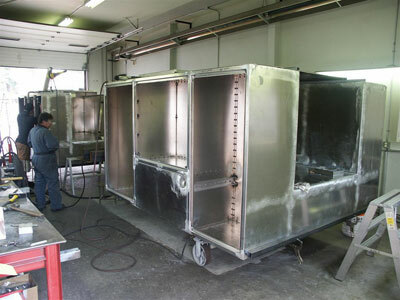 At Brutus Bodies we strive to manufacture the best quality bodies available in the market. To achieve this Brutus goes way beyond our competition to ensure that we are the leaders in our field. Brutus has its own in-house training school where we can make sure that all our fabricators are trained to our very high standard to enable them to manufacture bodies of the highest quality for you. This facility is completely isolated from the main fabrication shops to minimize disruptions and noise. 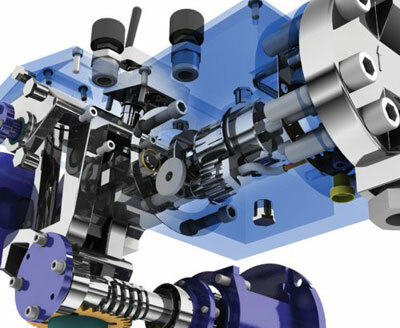 Mechanical design is done by our resident engineer with our state of the art 3D CAD. This program has FMEA capabilities, offers a wide range of advanced analysis options including motion simulation, and can perform integrated fatigue analysis. All components are designed using this program to give you optimum strength so that you don't have to carry heavy overbuilt components fitted to your chassis which payload. Advanced 3D CAD program is used for all solid modeling of our truck bodies complete with hydraulic and wiring schematics. The 3D CAD program also allows us to perform stress analysis on our components to determine the stress in materials and structures subjected to static or dynamic forces. This software can calculate load distribution for our cranes and bodies mounted on any make and model of truck in the world. This software allows us to check the vehicles turning radius and stability under varying loads. We welcome customer feedback on our Brutus manufactured products as well as on our full lines of cranes and equipment. We use this information to constantly improve our truck bodies to give you the best equipment available on the market today. Whether you are a single truck operator or a large fleet your satisfaction is our main priority. Brutus is constantly striving to keep its service trucks and equipment at the forefront of the industry. Along with customer feedback we visit the major tradeshow circuits looking for the best parts hardware and equipment technology. As new and improved cranes, compressors, and parts become available we upgrade our product line so you get the highest quality service truck. One of our competitors at a trade show said "I wish you would not keep changing things so much, it is hard for the rest of us to keep up"